I, like many book bloggers, seem to be at constant war with my TBR. Every time that I think I have it under control, I show how weak and impressionable I am and somehow acquire countless new books. That means that some poor books get ignored for months on end, through no fault of their home. I’ve decided to give them a chance. By the 31st December 2018, I want to have read (or tried to read) every book that is currently on my TBR. I know that I will inevitably add more books to my unread shelf as the year progresses so I’ve made a list of all of the books that have been neglected for far too long. 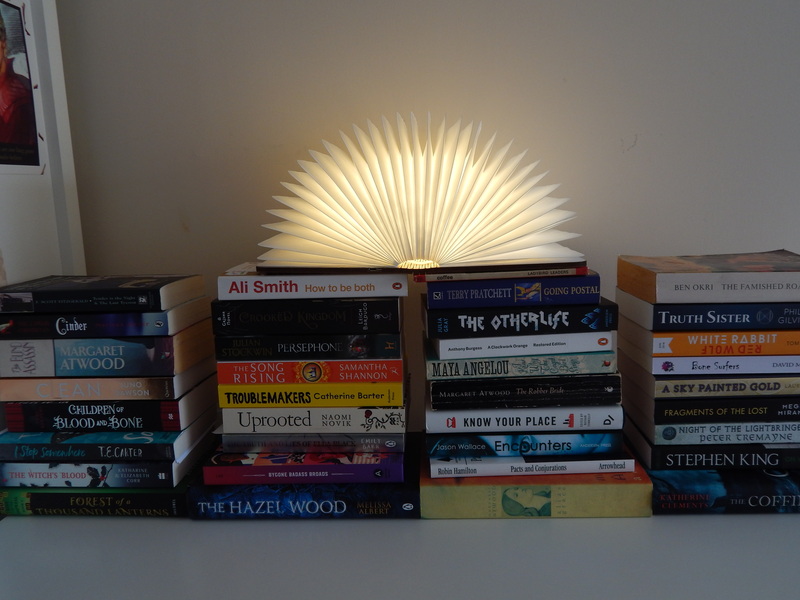 I’ll be working my through this list and keeping you updated on how I am getting on with my new reading challenge because sometimes you need to tell the internet about your aims so you actually do them. I would also really, really love it if you could give me your thoughts on which ones you enjoyed and which books I should start with. Tweet me at @thisnortherngal or leave me a comment below with your recommendations. I can read books that aren’t on this list but I now have a deadline to read these 36 books. Some of them have been waiting a very long time to be read. Good luck with yours though! Thanks! It is definitely a little ambitious but if I don’t challenge myself to at least try and shift them, they’re going to be there forever!